Welcome to Designer Chair Covers To Go, We are wedding and event décor specialists working to transform and beautify venues with our stunning collection of Designer Chair covers, an eclectic range of organza, lace and taffeta sashes, Striking Centrepiece, Thrones, Sofas, Chiavari chairs, Lighting, Unique Backdrops, Room draping and bespoke Starlight Backdrops. Designer Chair Covers To Go is London & Kent’s premier event decoration company specialising in Chair Cover Hire and starlight backdrops, beautiful centrepieces for weddings and Events. We have a beautiful range of organza, taffeta sashes, the very popular lace sashes and wrap sashes for you to accentuate your venue and themes. Our Specialist team will assist you in designing the wedding venue of your dreams beautifying your day and expressing your individual styles and unique tastes. Our stunning bespoke starlight backdrops, drapery are available for hire converting bland walls to magical wedding and event scenes. We provide an array of sizes from a small cake table starlight curtain to a large top table lighted backdrop and displays. Our backdrops can be partnered with chair covers at package prices. 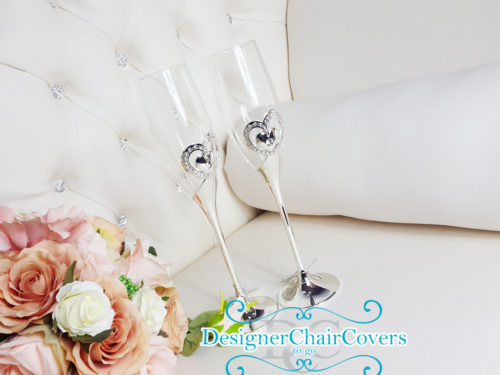 Unlike many other chair cover companies we also carry a specialist Designer Range for those who want contemporary chair covers for an exclusive appearance. 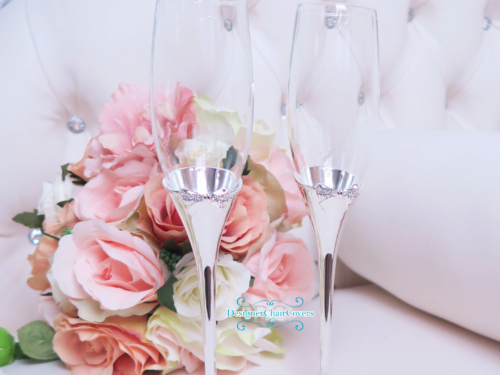 We also have a beautiful sparkling range of table centrepieces from Martini Vases and Fish bowls alongside Crystal Globes traditional candelabras and much more. If you have any questions or if you would like a quote feel free to get in contact with our consultants for more information about what we can do for you via email or phone.